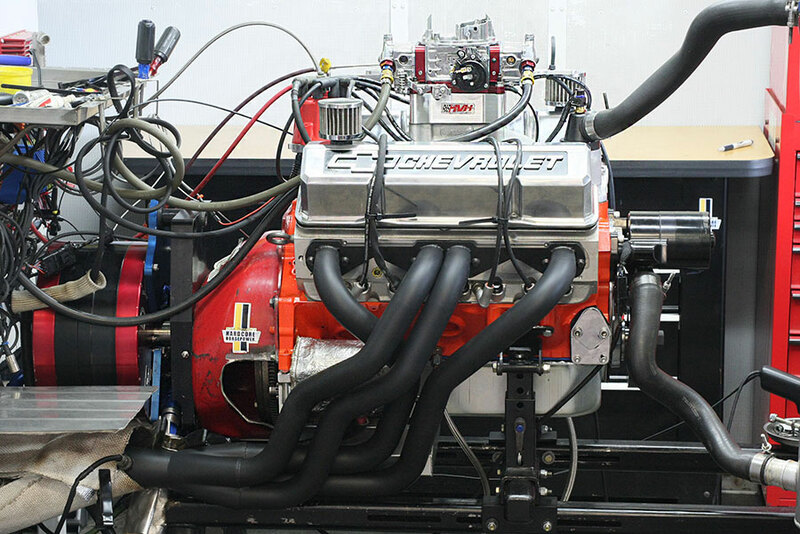 Competition engines are designed and built to generate maximum torque and horsepower for their size and intended operating environment, but what exactly does that mean? Torque is the heart of the matter. Defined as a twist­ing force it represents the potential to perform work. 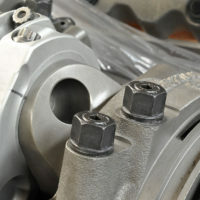 Engine torque is the force potential or turning moment applied to the crankshaft flange or flywheel when combustion pressure is transferred to the crank throws via the connecting rods. When the fly­wheel turns, torque is measurable by the resistance to rotation. Once the flywheel is turning, torque is applied over a period of time and the horsepower can be calculated, horsepower thus being a dependent variable of torque. Torque is the actual measure of an engine’s ability to do work. Horse­power is the rate at which the work is performed. Torque accelerates the mass of a race car; horsepower is the function of torque that supports speed by maintaining the application of torque over time. Engine builders recognize the ability of good engines to produce torque rapidly over a spec­ified range of engine speed (RPM). They call it “transient torque,” or the rate at which a loaded engine can accelerate through a given range of engine speed. The greater the tran­sient torque the faster the engine is able to accelerate under load. All engines generate a torque curve, which peaks at some point in the RPM range. This peak rep­resents the most efficient point in the engine’s operating range and is closely aligned with the VE curve. 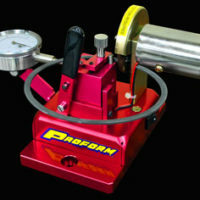 Available tuning techniques enable us to position the peak at the most favorable spot in the power band and to reshape the curve around it for maximum performance benefit. Note how the torque curve trails the VE curve below and above the torque peak due to flow issues and poor mixture quality at lower engine speeds while there is insufficient cylinder filling time above the torque peak due to increased engine speed. All engines generate a torque sig­nature based on displacement, engine speed, VE, and flow path dynamics, and not surprisingly, influenced by specific architecture, i.e., I-4, I-6, V-6, V-8, V-10, V-12, etc., each of which applies different attributes to cylinder filling, mean net torque, and overall engine smoothness. Every combi­nation generates a torque peak or “sweet spot” where its particular tun­ing dynamics achieve maximum VE. 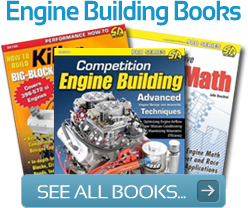 In the case of competition engines, this often exceeds 100-percent VE, sometimes by a considerable margin. The old adage that an engine is an air pump is assuredly true, but also think of it as an air processor. Power is governed by the amount of air and fuel the engine can process over time and the brake specific fuel con­sumption (BSFC) generated by the efficiency of the specific component mix. It’s relatively easy to supply enough fuel, but it is considerably more difficult to maximize airflow without the aid of a power adder. Single 4-barrel Cup engines rank among the most powerful carbureted engines because every component is fully optimized to complement the operational requirements of the application. For any given collection of parts, an engine achieves a torque peak influenced predominantly by intake and exhaust tuning relative to its size or displacement and engine speed. Through attentive manipulation of these and contributing component hardware the torque curve can be shaped and positioned to suit the engine’s final application. This is a principal focus of all competent engine builders and it begins with the pursuit of VE relative to the engine’s static air capacity. The air mass com­ponent depends largely on available air density and the VE a specific com­ponent mix is capable of generating. VE is primarily governed by inlet and exhaust flow path dynamics, com­bustion chamber efficiency, valve timing, and elements of the bottom end and valve train, which dictate final RPM capability. As we have shown, the shape of the torque curve closely mimics the VE curve at peak torque. This is the point of maxi­mum engine efficiency and it typi­cally reflects the lowest WOT brake specific fuel consumption numbers. Below the peak torque trails the VE curve due to reduced combustion efficiency caused by inadequate intake flow velocity, air/fuel separa­tion issues, and poor mixture quality. Above the torque peak, torque and VE decline due to insufficient time for cylinder filling caused by rising engine speed (RPM). There are methods to address the VE inefficiency on either side of the torque peak and inflate the over­all torque curve. This refers to the “area under the curve” and seeks to expand the torque curve in all direc­tions. Horsepower, being a function of torque, follows faithfully. More importantly, a broader torque curve often produces greater acceleration even with a slight reduction in peak torque because it applies more torque over a broader range. If the ideal mix of engine components targets an engine speed range most beneficial to the application, superior perfor­mance is the result. Complementing these perfor­mance gains with appropriately matched gearing and tire combina­tions ultimately leads to faster cars and better racing, all based on the effective production and utilization of torque. 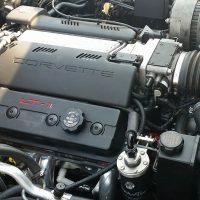 This works well even for engines operating well above the torque peak because the upper end of the torque curve expands accord­ingly, thus contributing more horse­power to the car’s performance. The cornerstone of power build­ing is volumetric efficiency. The more air an engine is able to process, the greater its power potential. VE is determined according to an engine’s static air capacity or displacement. A displacement of 400ci represents 100-percent air capacity for an engine of that size. At any given engine speed a percentage of that volume is being processed into torque depending on a host of variables that conspire to limit airflow. Without these pesky restrictions atmospheric pressure can easily fill the cylinders 100 percent every two crankshaft revolutions. In practice this is difficult to achieve because airflow is restricted by a throttling device, carburetor, throttle body, or other), imperfect intake manifolding, intake ports, valves, and all the attending flow restrictions and pressure dynamics present in a running engine. Hence, VE in a production engine rarely exceeds 80 to 85 percent. As previously mentioned, VE is reduced below the torque peak due mainly to insufficient airflow and poor mixture quality. Above the torque peak, VE is limited by inad­equate time to fill the cylinder due to RPM. One of the engine builder’s primary goals is to exceed the static air capacity of the engine and opti­mize combustion efficiency once fuel is introduced to the process. Savvy engine builders skillfully manipu­late the component composition to accomplish this by broadening the torque curve and positioning it to best suit the intended application. In specifying components to meet VE requirements you target intake ports, dimensional qualities of intake manifolds and exhaust head­ers, carburetor size, rod-to-stroke ratios, valve timing, and static com­pression ratio. The specific compo­nent matrix is adjusted to suit the application’s operational require­ments. Oval track and road racing engines typically call for a compo­nent mix producing a broad torque curve over a wide range of RPM. This affords the engine builder an opportunity to tune the intake and exhaust systems separately to effec­tively broaden the power band. Con­versely, drag racing applications seek a higher and narrower power band in which intake and exhaust tuning are more closely aligned. Identifying and targeting the required power band is one of the engine builder’s first steps. Since VE and engine speed are closely aligned it is critical to target VE modifica­tions to the desired engine speed. If a drag racing engine leaves the starting line at 7,000 rpm and cycles between there and 9,000 rpm through the gears, its VE at 5,000 rpm is largely irrelevant. And of course an engine delivering power between 4,500 and 7,200 rpm needs broader tuning efficiency from its parts combina­tion. Hence, airflow management within the targeted engine speed range becomes a central challenge in matching or exceeding an engine’s potential VE capacity. Combustion efficiency is typi­cally indicated by brake specific fuel consumption or BSFC. This expresses fuel usage in pounds per horsepower hour. Brake specific fuel consump­tion is frequently misunderstood. Many people mistakenly believe that it is an indicator of rich or lean fuel mixtures, but it is actually a measure of efficiency that indicates how well the engine uses the fuel it burns. 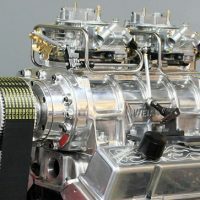 More specifically, it is the rate in pounds of fuel per horsepower per hour that a given engine consumes to make power. There is a range of optimum efficiency for most engines, and BSFC defines that range. As you may have already sur­mised, the term “brake” precedes it because BSFC is usually measured with an engine running on a dyno. BSFC figures are typically quoted for WOT conditions, but it is also a mea­surable quantity that relates to fuel economy at part-throttle operation. In the performance world, it is used to judge the efficiency contribution of various engine combinations and to predict certain requirements such as fuel injector flow rate. 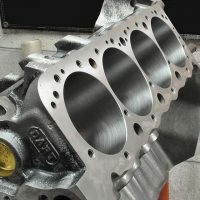 A particular cylinder head may make more power with less fuel, and that’s an indicator of higher effi­ciency, most likely due to improved cylinder filling and a more efficient combustion chamber that extracts more energy from a given fuel mass. Guidelines for evaluating BSFC are well established and are frequently used to predict engine performance. One-half pound of fuel per horse­power per hour (.50 BSFC) is the default norm for most calculations. 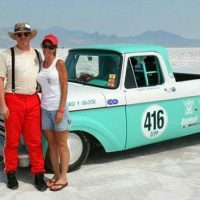 Many of the most powerful racing engines are still equipped with carburetors because carbs are surprisingly efficient in applications with narrow power bands that do not require frequent throttle changes over a broad RPM range. Herein lies part of the problem with thinking of BSFC numbers as indicators of mixture ratios. 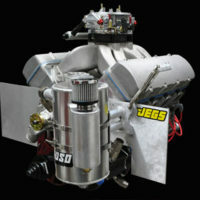 At .37 BSFC a Pro/Stock engine may be thought to be running too lean when, in fact, it is operating at the highest level of efficiency. In contrast, super­charged engines run richer mixtures to complement boost pressure and discourage detonation. They abso­lutely run richer; not because they are inefficient, but to complement specific combustion characteristics inherent to boosted applications, not the least of which is charge cooling and the need for more fuel to aug­ment the greater volume of air being supplied by the supercharging device. When evaluating BSFC num­bers, lower is almost always better (even when supercharged) where a .60 is still more efficient than a .65, as long as the combination supports safe combustion without detonation or overheating. However, any engine still needs to run at the air/fuel ratio that produces best power. That’s usu­ally about 13:1 in naturally aspirated engines and 11:6 to 12:1 in super­charged applications. You can’t just run an engine lean and expect to get a low BSFC number. Tune for maximum torque and let the BSFC indicate how efficiently you generate that torque. 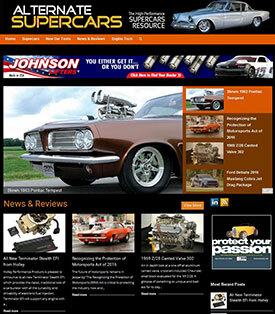 At an indi­cated BSFC of .50 an engine burns .5 pounds of fuel per horsepower per hour (lb/hr). If the engine makes 500 hp, that’s 250 lbs/hr. If you’re build­ing racing engines, your BSFC should be way better, something on the order of .38 to .42. Extremely powerful racing engines generally require a short stroke and large bore to provide ade­quate breathing capability at high RPM and to ensure durability in a high-load, high-RPM environment. The engine’s breathing potential increases with the square of the bore diameter, due to the corresponding increase in applicable valve size and port area. Greater piston area is also available to multiply combustion pressure. This is a well-recognized path to power, but there are caveats. Larger bores present more piston area, requiring more time for the flame to make its way across the combustion space, and presenting more cooling surface area, which tends to absorb and reduce combustion temperatures and produce less cylinder pressure. Therefore, increased compression ratios are typically necessary to boost flame speed and maintain desir­able combustion temperatures and pressure. Much smaller combustion spaces and/or chambers and steeper valve angles are often specified for this reason. Large bore diameters and pis­ton domes (where applicable) often wreak havoc with valve-to-piston clearance, particularly when run­ning a narrow lobe center cam. 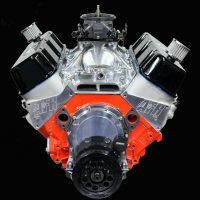 Nonetheless, large-bore, short-stroke combinations with longer rods are mostly favored among professional engine builders who also agree that real power comes from the cylinder heads, intake manifold, and cam­shaft—all of which are air-processing components closely tied to airflow and thus VE. In a broad sense, total trapped air mass relative to dis­placement times RPM equals power. It’s why a big engine makes more torque at lower engine speeds while a smaller engine has to rev higher to make the same torque (more power strokes per unit of time). Once we acknowledge the impor­tance of these components relative to airflow requirements we are then obliged to contemplate their com­panion role in the pre-combustion mixture conditioning that ulti­mately produces maximum cylinder pressure (mean effective pressure, or MEP). This role is typically more sensitive in wet flow systems (car­bureted or TBI) where fuel is intro­duced upstream of the intake valve as opposed to dry systems or port fuel injection systems where fuel is sprayed directly at the valve and is less adversely influenced by individ­ual or collective flow path deficien­cies. All multi-cylinder engines make a different amount of power in each cylinder, largely due to differences in airflow and fuel mixture quality. Port injection solves a multitude of mixture quality problems, justifying its wide deployment on production vehicles to improve economy, emis­sions, and power. In the future, direct injection systems may replace port injection for even greater efficiency. While the tide is slowly turning in many circles, most racing applications still employ wet flow intake systems and their inadequacies must be addressed in any racing or high-performance application. 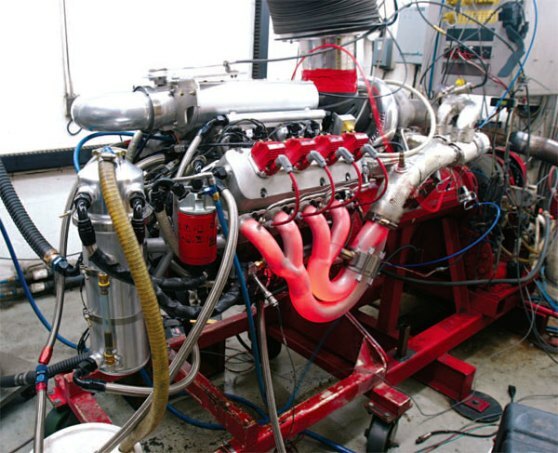 These basic issues apply to unlim­ited racing engines as well as average Saturday night bracket racers running single 4-barrel carburetors. 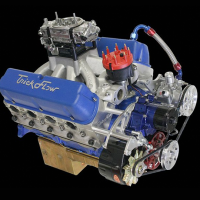 If you ask knowledgeable engine builders and tuners, electronic fuel injection (EFI) has its place, particularly on engines with a broad operating range and fre­quent throttle activity, but for full-time WOT racing, it’s often hard to beat a well-sorted carburetor. The importance of shaping and positioning the power band to match the intended racing application can­not be overstated. Assuming appro­priate fuel mixture quality (octane, droplet size, burn rate, and energy content) power is typically produced and (in many cases) limited by vari­ous attending factors including but not limited to the following. 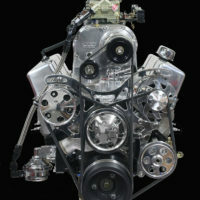 These are mostly tuning and air/ fuel processing components inde­pendent of, and yet co-conspirators with, standard competition engine building concerns such as piston configuration, ring seal, valvetrain geometry, bearing clearances, block material, and other factors that com­prise a typical engine build.